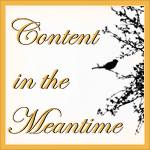 New event added to the PhoenixFire Designs show schedule! Come on out and see us Saturday, June 6, 2015 @ 6pm in Ybor at the Crowbar for Art and Music Show! 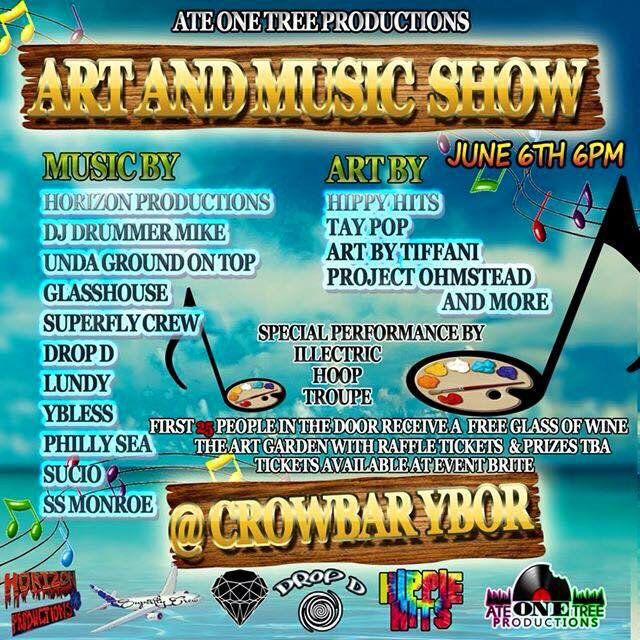 PhoenixFire Designs will be a vendor at the Art and Music Show at Crowbar in Ybor, Saturday June 6, 2016 @ 6pm. With tons of local live musicians and excellent artisan vendors, it’s a great night out! 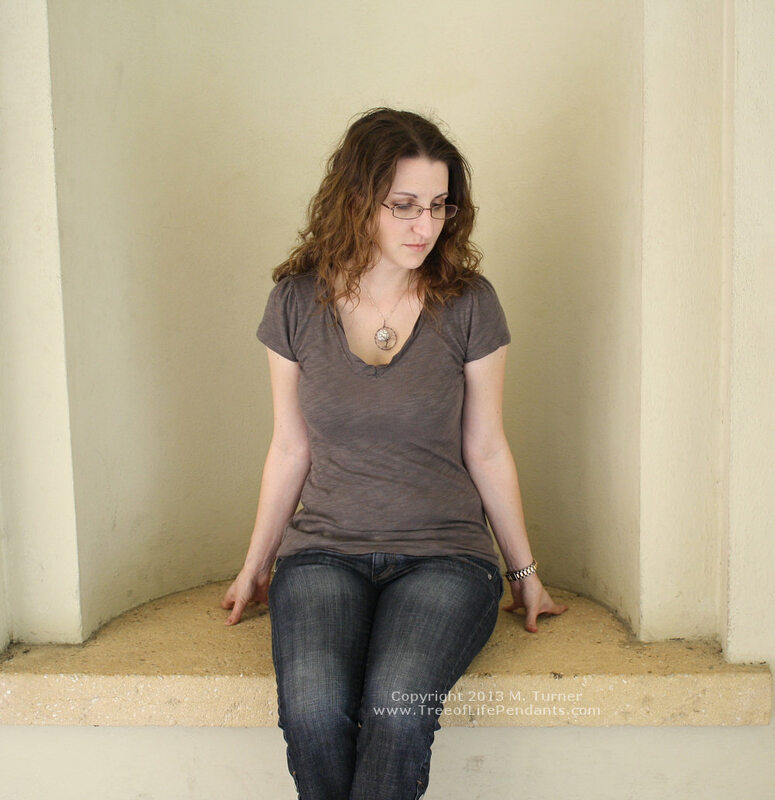 Looking for Things to Do in Tampa? Look no further! Tons of live music and an awesome collection of artisan vendors means this will be a great evening out on the town! Right in the heart of Centro Ybor, Crowbar is located at 1812 N 17th Street. PhoenixFire Designs will be there with a full range of our handcrafted, wire wrapped jewelry including our world-famous signature wire tree of life pendants! We’ll also have wire wrapped necklaces, rings, wire wrapped bangles, recycled silk sari wrap bracelets and more! 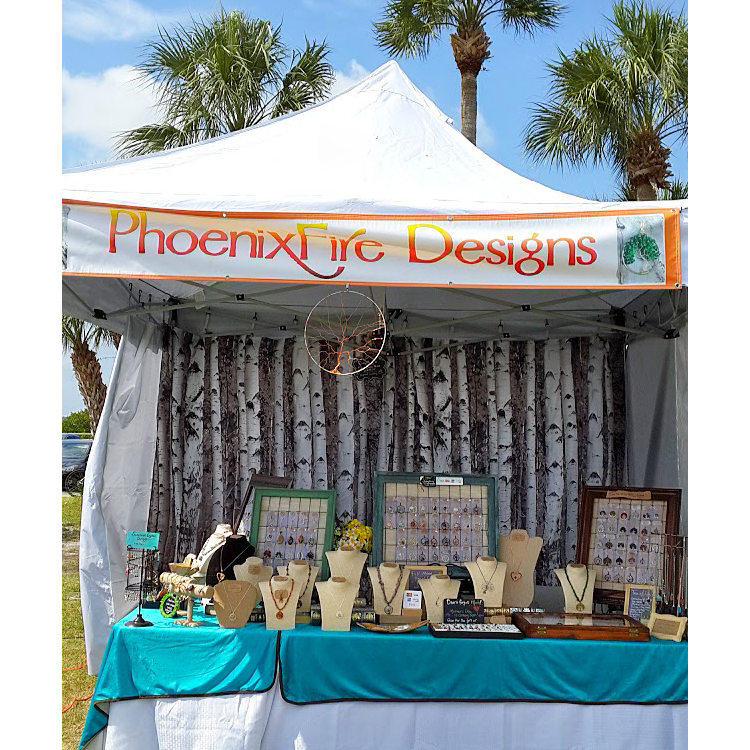 As ever, look for the “PhoenixFire Designs” tent! For more info, check out the Facebook Event Page and don’t forget to save $2 on tickets with promo code PhoenixFire here!